I read this article and found it very interesting, thought it might be something for you. The article is called HUMAN Healthy Vending’s Advice for Entrepreneurs and is located at http://www.healthyvending.com/blog/human-healthy-vending-advice-for-entrepreneurs/. It’s no surprise we here at HUMAN headquarters love the honey badger and have even created a “Honey Badger” award for new franchisees who attend our bootcamp (“HUMAN Business-Building Bootcamp” or “HB3″) and who most exemplify the spirit of this tenacious animal. After all, honey badgers are the entrepreneurs of the animal kingdom. 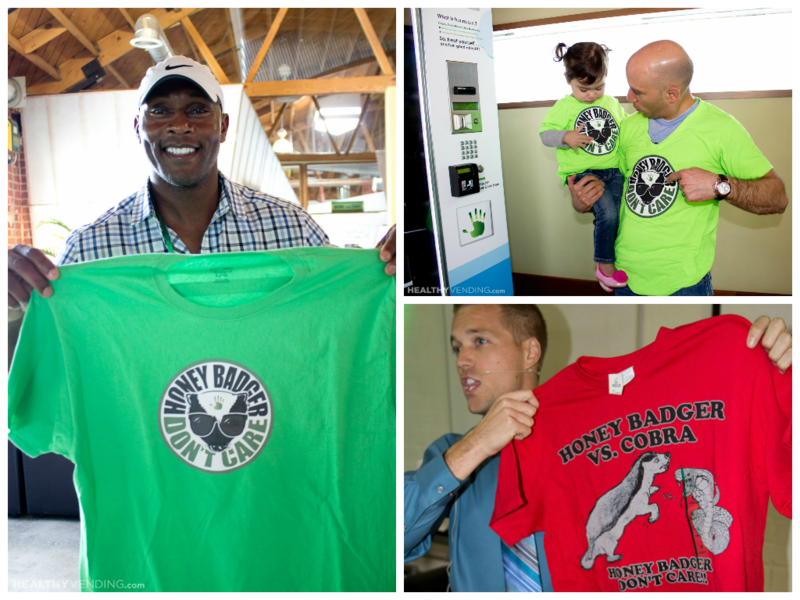 A honey badger’s tenacity is a common denominator we find in our most successful HUMAN Healthy Vending franchisees. They’re not afraid to get their hands dirty (literally & figuratively), they see challenges as opportunities and they get excited to be trailblazers in their communities. HUMAN’s CEO & Co-Founder Sean Kelly recently published an article in Entrepreneur Magazine giving his top five tips for maximizing the morning and we think these tips are great for people who want to bring a little more honey badger to their lives. 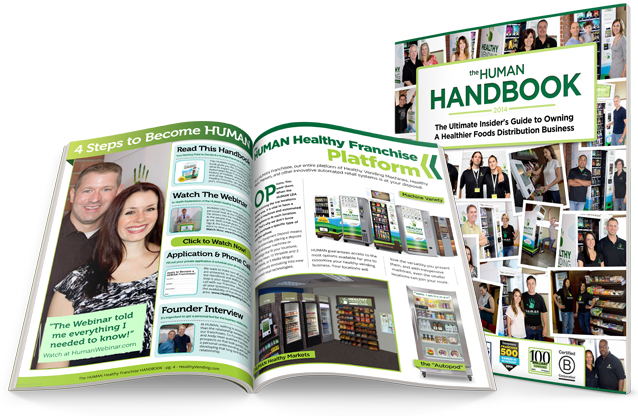 Below, we’ve listed Sean’s tips in bold and have then given an example of how this applies to HUMAN Healthy Vending franchisees. Choose not to snooze. As Sean writes, “Anytime you snooze, it’s a negative reaction. You’re losing out on your first commitment to yourself and that sets a bad tone for the rest of your day.” If you’re a chronic snoozer and that works for you because you’ve built that extra time into your day (in other words, you plan to snooze), great! If snoozing is a consistent challenge for you that affects your quality of life, try thinking about what you could do with those extra minutes. Maybe you’ll use those 15 minutes to pre-kit your products before you service your healthy vending machine locations or to check your sales via HUMAN’s remote monitoring software. The beauty of affirmations is that you don’t have to say them at any particular time. While the morning is a great time to do it, you can also build in additional times throughout the day (like right after lunch) or whenever you see fit. The point is that you take the time to reflect and honor yourself so that you don’t get bogged down (or so that you can quickly rebound after a challenge or setback). Open your mind by opening a book. Start your morning by reading something professional- or personal-development-focused that will get your brain acclimated to solving challenges. Why? Day-to-day challenges are inevitable for a franchisee and you want to be in the frame of mind to solve whatever issue may come rather than to dwell on it. It doesn’t have to be a book either. You can listen to a Podcast on your drive to service locations or even while you’re working out. 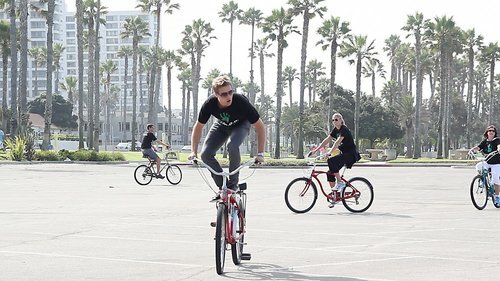 The point is just to get your problem-solving juices flowing, even if just for 10 minutes. Exercise to Thrive. This might seem like a no-duh recommendation, but exercising in the morning–even for just 10 minutes–is great for your body and mind. Instead of viewing exercise as a weight-loss tool (it’s not a good one anyway), view exercise as your mental therapy! We have HUMAN Healthy Vending franchisees who run, do crossfit, organize and walk/run at charity events, patronize their local YMCAs (where they may have healthy vending machines!) and several are even teachers at YMCAs or crossfit gyms. We love that our HUMAN family is so filled with vitality! Refuel to feel optimal. Start your morning with something that’s going to give you sustainable energy. HUMAN staff swear by taking a tablespoon of coconut oil in the morning (either in water or coffee) and then having something with complex carbs, healthful fats and clean protein like a smoothie with brown rice protein powder or a kale & egg omelet with a slice of whole-wheat bread after a work-out. When you need a pick-me-up during the day, try one of the snacks mentioned in our best office snacks article here. To read Sean’s original article in Entrepreneur Magazine, please click here. For information on having an innovative snack delivery service, a healthy micro market or a healthy vending machine at your location, please click here.